Who doesnâ€™t like great iPhoneÂ apps? At iPhone Insight we definitely do. With that in mind, we offer up a quick review of an excellent iPhoneÂ appÂ published here each week.Â Check out all out picks below and youâ€™ll soon have a collection of stellar apps for your favorite phone. 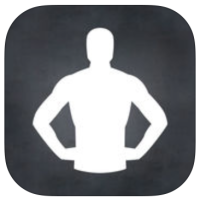 This weekâ€™s pick isÂ Runtastic Results: Strength & Fitness Workout, byÂ Runtastic. Â Perhaps on the surface it might seem like a copout to select an exercise app for the App of the week, being that it is the first week in a brand new year. Â However, being that losing weight and getting in shape is one of the most reported New Year’s resolutions, I actually think that it’s the perfect choice. Â Although many of us try to use a new year to get back on track with a variety of causes in our lives, many just don’t know where to start when it comes to exercise.